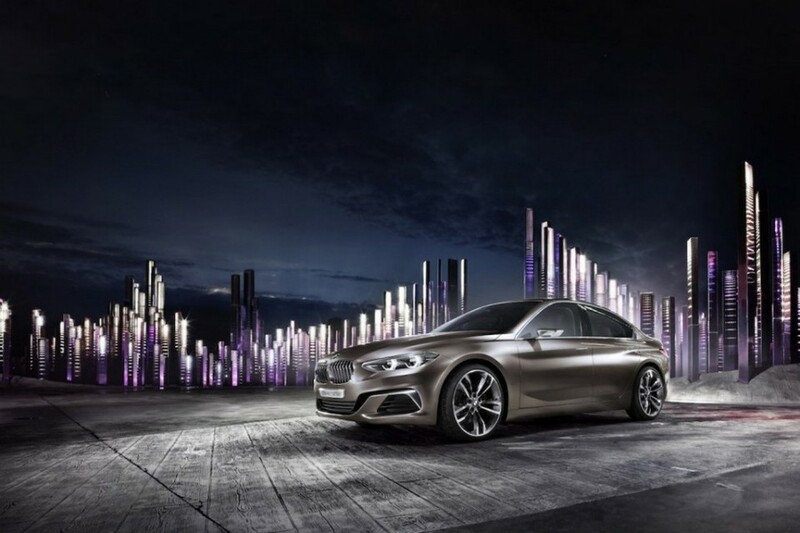 In an official reveal, BMW has entered the exclusive 1-Series into the Chinese market. The German luxury carmaker gave a sneak-peek of this model via a Concept Compact Sedan showcased at the 2015 Guangzhou Auto Show. 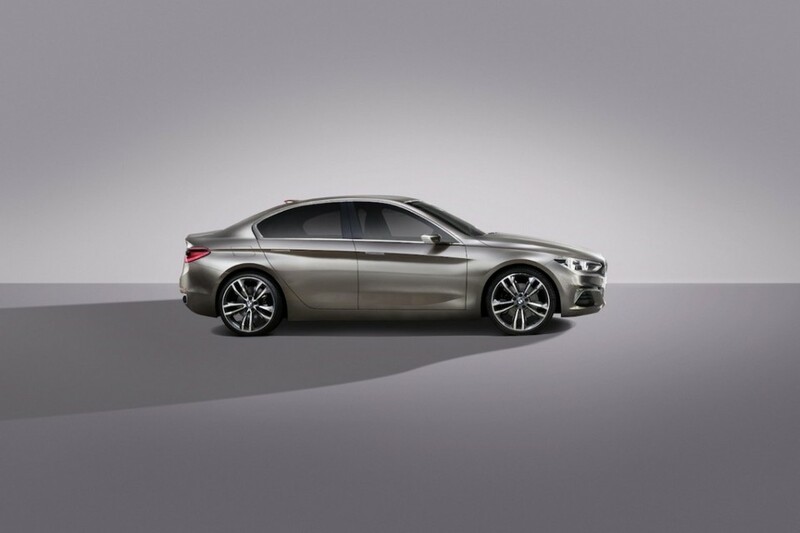 The China-only sedan is a brainchild of BMW and its Chinese partner Brilliance Auto. Manufactured at Tiexi plant in Shenyang, China it will be rolled off the assembly lines beside the locally built X1 and 2-Series Active Tourer. Three powertrain options made available include: a 1.5-litre three-cylinder unit with 136 hp and 220 Nm from 1,250 rpm with a six-speed auto in the entry 118i sedan. It is good for 0-100 kmph in 9.4 seconds and a 212 kmph top speed. The middle 120i model gets a 2.0-litre four-pot and an eight-speed auto developing 192 hp and 280 Nm. It can do o-100 kmph in 7.5 seconds and has top speed of 235 kmph. The sporty model in this front-wheel drive range is the 125i which makes 231 hp and 350 Nm of torque. It can sprint from zero to 100 kmph in just 6.8 seconds and has a limited top speed of 250 kmph. 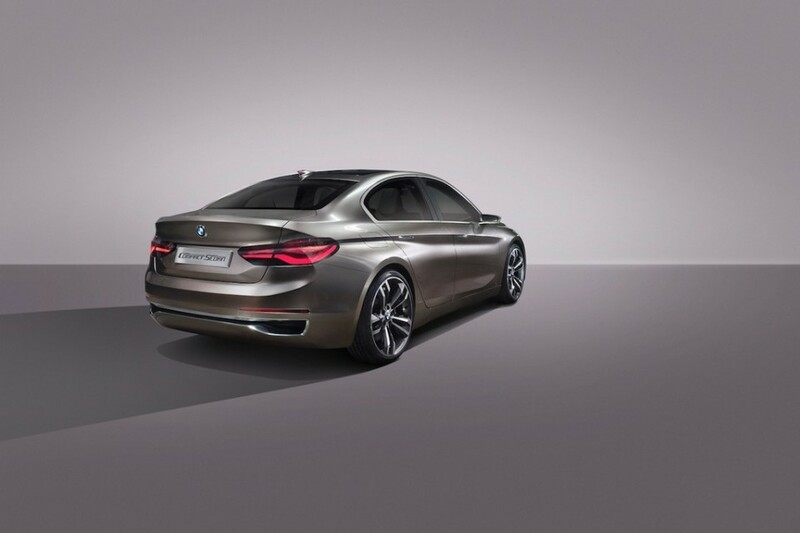 At 4,456 mm long, 1,803 mm wide and 1,446 mm tall, the new 1-series sedan is 132 mm longer, 38 mm wider and 33 mm taller than its five-door sibling. Wheelbase stands at a China-spec 2,670 mm which creates a niche of its own, while the interiors are largely carried over from the 1.series hatchback. The model is exclusive for Chinese market and therefore the likeness of the home customers, their lifestyle, car usage, environment, road conditions and climatic changes have all been considered. The engine mapping and suspension setup have been tuned to meet the requirements. The Concept Compact Sedan has been responsible for the styling of the model with plenty of touches from the latest 1-Series. It features the signature kidney grille, sleeker LED headlamp cluster, lower air intake have all been carried forward from the concept. The fog lamps enclosures are painted black alongside a large set of five-spoke alloy wheels, revised body-coloured wing mirrors and so on. Initially it’s expected to be sold only in China as BMW might try to explore its popularity elsewhere too. Customers can choose between Basic, Luxury line and Sport line variants. The optional driving Assistant system provided are collision warning with city brake function and the Parking Assistant. Besides, BMW Connected with Open Mobility Cloud for connecting smartphones, tablets and smart watches are also available. China gets what it wants as it is the biggest market for the German brand. After all, the 3 and 5-series sedans are already running there with extended wheelbases as Chinese love extra room at the back supposedly.